Known as a new way to drive, the Kia Soul has quite literally brought driving a soul. It has the capability and performance to make sure to help feed your hunger for adventure while staying trendy. Buying the Kia Soul used is a great option to save money while still having access to the latest technology and safety features, along with available styles. The Kia Soul has an amazing amount of cargo space. With the seats up, you can expect up to 24.2 cubic-feet. Fold the rear seats down and you can see up to 61.3 cubic feet of cargo space. 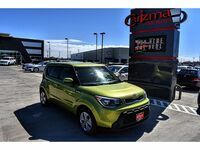 Carizma is happy to have the Kia Soul on our lot. Keep reading to learn about all the features included with the Kia Soul. In the newest Kia Souls, you can expect up to 33 EPA-estimate highway miles to the gallon and 27 city miles to the gallon. One of the dynamic features include the available Harman/Kardon audio system with mood lighting. The mood lighting shifts with the music and you can control the colors. Other options include Smart Cruise Control, Head-Up Display and 10.25-inch color Touch-Screen Display. 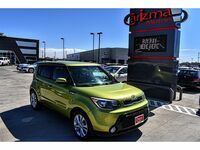 We have a variety of Kia Soul models and years offered on our lot to choose from. Check out our online inventory to see if there is one for you. If you do not see what you are searching for, let us know and we can give you updates. Our inventory is always rotation so we are confident, we will have what you are looking for. If you have any questions about the Soul family, we encourage you to contact our sales team at Carizma Motors. We are happy to take you through our selection and get you inside for a test drive.